Posted 8 weeks ago , 2 users are following. I am a nursing student, so I am aware of peripheral neuropathy, diabetes, and what acrocyanosis is. I am not diabetic. I have had reconstructive surgery on my left knee. I am also thin, with a BMI of 17.9. my extremities get cold and stay cold for the most part. 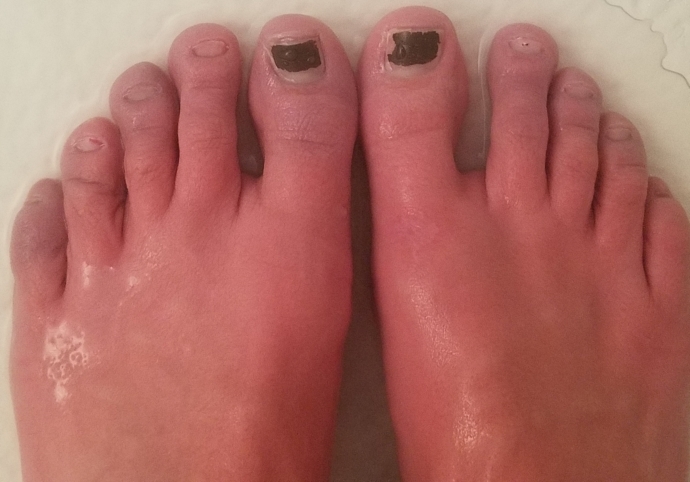 my biggest concern is that when I get in the hot shower, my toes turn blue. 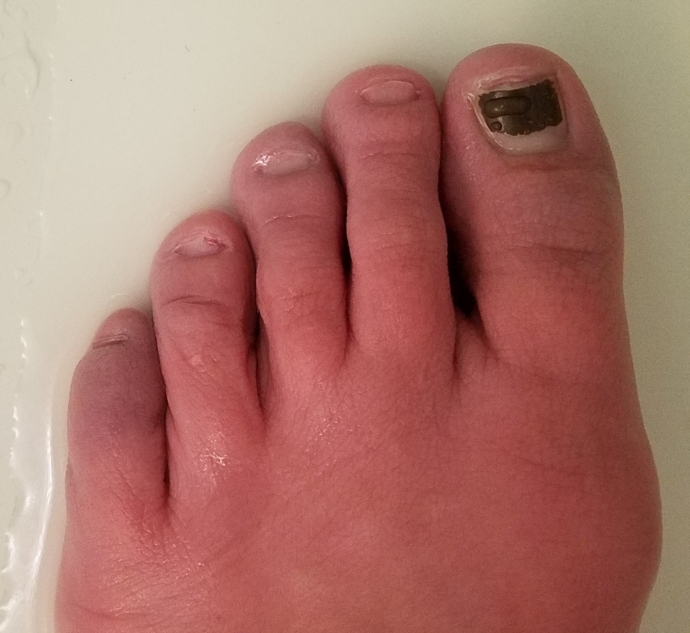 the top of my foot is often blue/purple as well. My pedal pulses are 1+ but I am concerned something else is going on.